MOGGACH’S ASIAN RETIREMENT YARN, IS PUT OUT TO PASTURE BY A COUPLE OF CLASSY DAMES AND A REWORKED SCRIPT. According to Shakespeare there are seven ages of man, you may not be aware of the whole poem of the same name, but you’ll know one of its oft quoted lines, “All the worlds a stage and all its men and women merely players..”, from “As You Like It“. According to the poem, the sixth stage is old age, “the sixth stage shifts into lean and slippered pantaloon. With spectacles on nose and pouch on side…. A world too wide for his shrunk shank; and his big manly voice turning again to towards childish treble…” This stage is something we’ll all experience eventually. The sixth age is also the theme of last month’s book group selection. The book is known by two titles; originally it was “These Foolish Things” by Deborah Moggach. 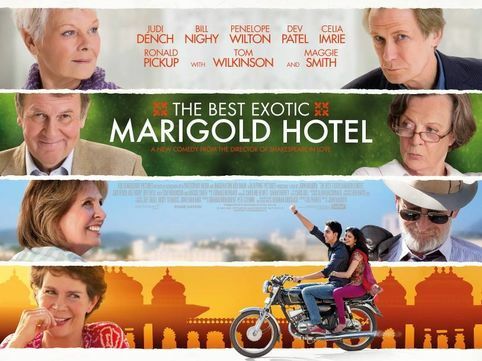 But after the release of the hugely successful film adaptation, all subsequent printed copies of the book were renamed, “The Best Exotic Marigold Hotel”. The book tells the story of a group of pensioners who take up the opportunity to live out their remaining years away from the cold British weather, the high cost of living and the deterioration of society and the values of old. For the warmer and less economically challenged climbs of a new Indian retirement home. The book follows their new lives and their adjustment to the totally alien cultures and experiences. The film which features a cast of such British acting heavyweights as Dame Maggie Smith, Dame Judi Dench, Tom Wilkinson and Bill Nighy. 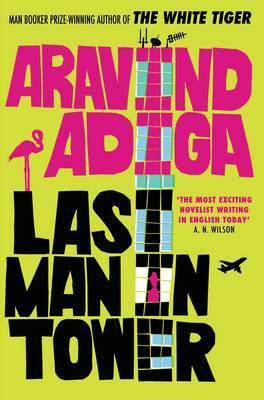 Tells the story of a group of pensioners who travel to a brand spanking new retirement home in Jaipur, only to discover on arrival that it is far from the glamorous claims and pictures of the brochure and on the verge of closure. 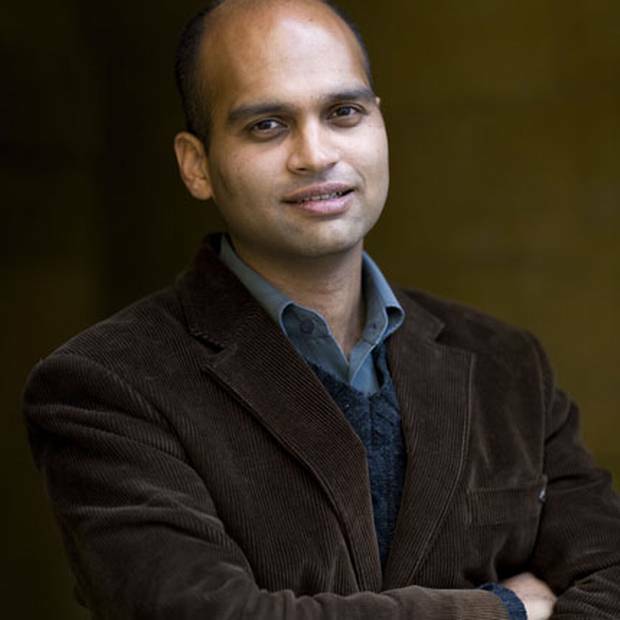 So they set about turning its fortunes around while finding romance and new lives in the diverse and developing cultures and economy of India. As a rule I never read a book after I’ve seen the film adaptation first. I’ll go see a film adaptation after reading a book, just to see how the writer and director interpreted it; because a film is never as good as how your imagination pictures the story. In this case the book was never going to be as good as the movie. It’s rather slow and the characters lives before they go to India are quite interesting, but once they arrive things just tick over and the stories really go nowhere. I and most of the other members of the book group had seen the film beforehand and where always trying to picture the characters from the film in the book, but alas we couldn’t. If you hadn’t seen the film before reading the book it would stand alone as an alternate story. This is not to take away from the fact that Moggach is an excellent writer, who has written twenty books which include seventeen novels and 3 collections of short stories. 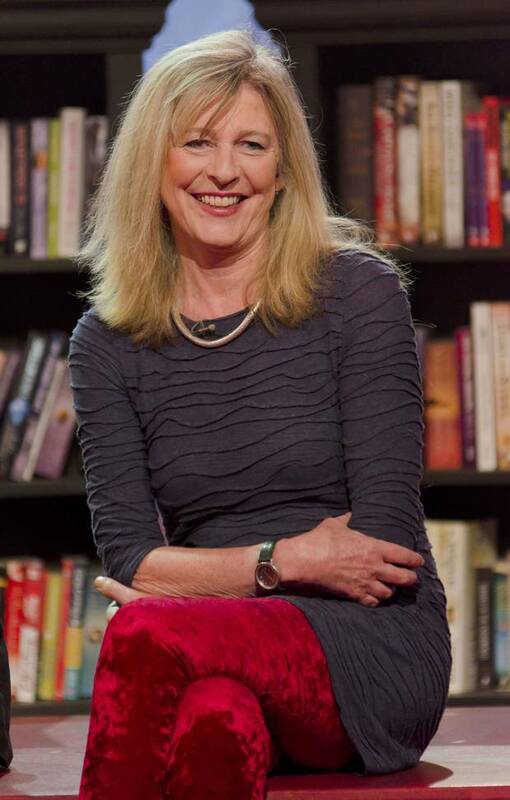 She’s also an acclaimed scriptwriter who is responsible for the screenplay of the BBC Drama “Pride and Prejudice”, starring Colin Firth. She’s adapted four of her own books for TV, as well as the “The Diary of Anne Frank”, a Nancy Mitford novel and an Anne Fine novel. Surprisingly, whilst she did adapt a screenplay for “These Foolish Things” , it was Ol Parker’s version that was finally used and I can see why. 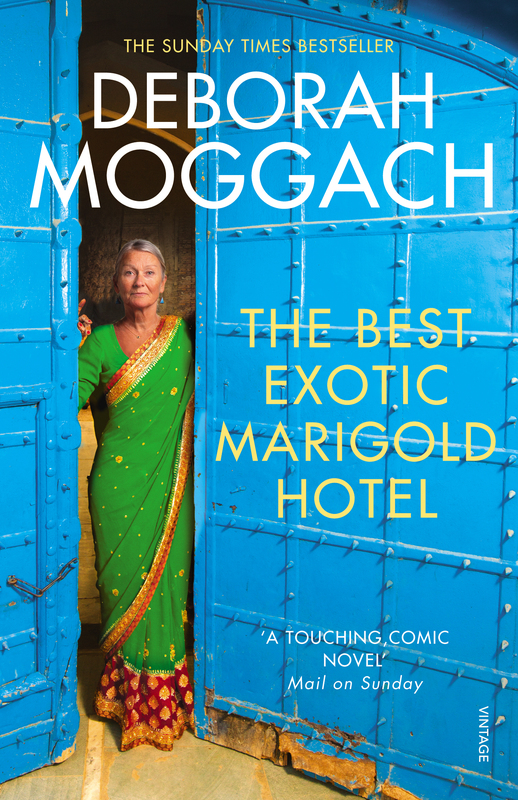 Moggach has lead an interesting life which includes living in Pakistan, as well as campaigning for the change in the law regarding Assisted Suicide, following her mothers imprisonment for assisting a terminally ill friend take their life. So my advice is, if your feeling your age and looking for something to pick yourself up, don’t reach for this book. But go out and rent the film, as they say laughter is the best medicine. 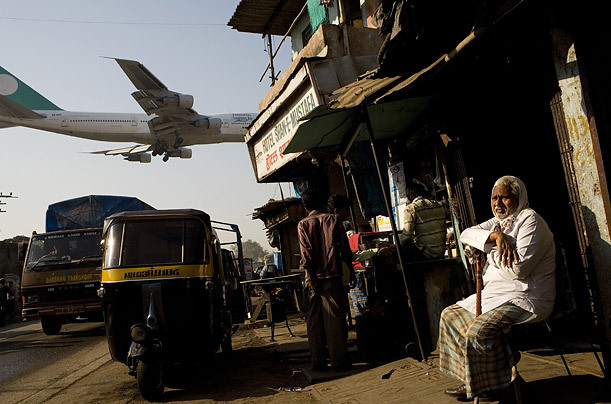 This is certainly the tonic and may also convince you to add a trip to India to your “bucket list”. Where as this book should be consigned to your own personal room 101.